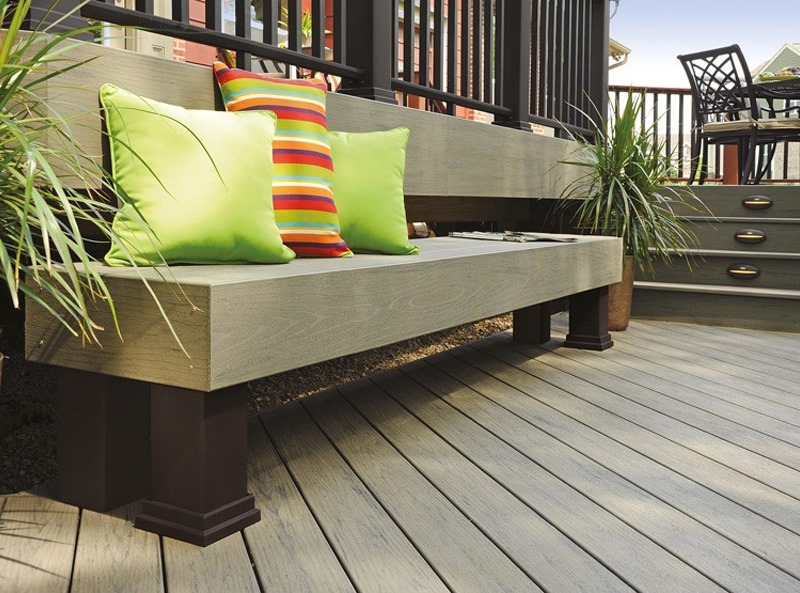 Our EasyClean Terrain+ Silver Maple composite decking is a strikingly modern option that’s perfect for modern gardens. 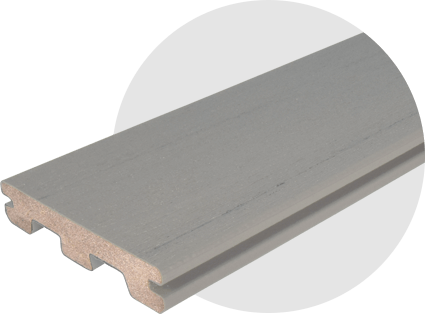 The boards boast a two-colour ‘Spectrum’ effect that’s created by effectively putting them through the manufacturing process twice: once for the base grey colour, and once to add the darker shades that really set this decking apart from the competition. The results look fantastic in practically any setting, especially when combined with TimberTech’s coastal white RadianceRail or with our equally contemporary cable rail system. But the Silver Maple decking doesn’t just look good – it also performs exceptionally well, lasting for decades and requiring very little maintenance. 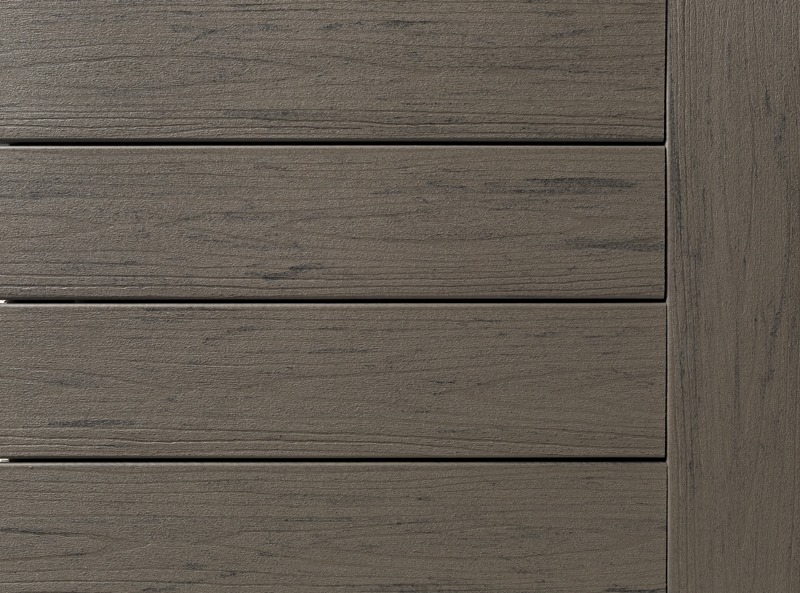 With authentic graining and a variegated colour, the EasyClean Terrain range has the look of natural hardwood decking, but with all the convenience and practicality of composite wood. 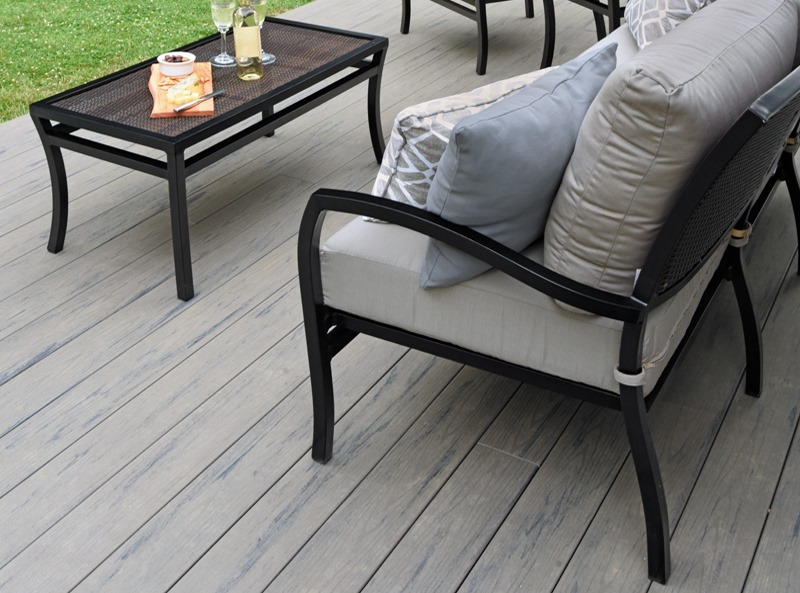 Our Silver Maple composite decking is capped with a fully protective polymer sleeve, so it can cope with just about anything you throw at it – whether it’s toddlers playing on your deck or red wine spills at all those summer barbecues, a quick wipe is all that’s needed to get your boards back to looking great. The water-resistant properties of Silver Maple make it a great choice for customers with north-facing gardens; also, if your deck will be situated under trees, the protective sleeve will ensure that your boards aren’t damaged by moisture from the overhanging leaves. 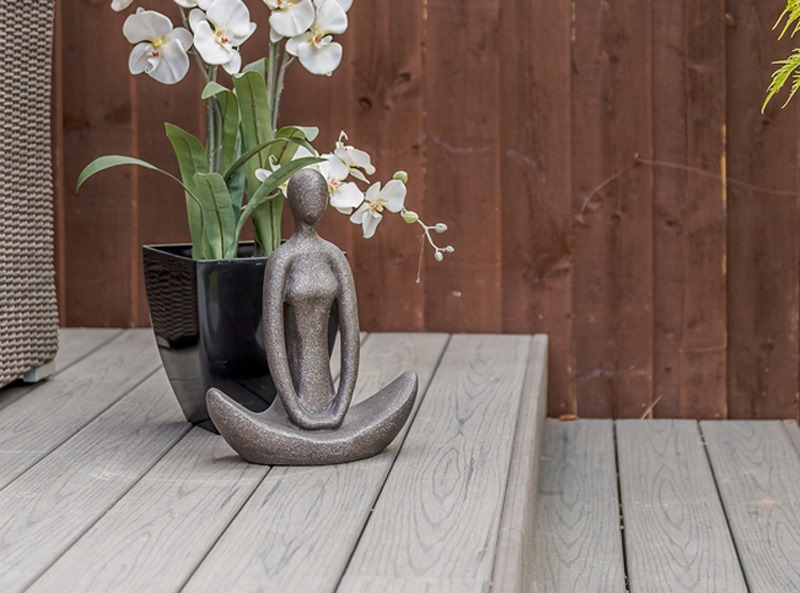 Our EasyClean Terrain+ Silver Maple composite decking has been featured on ITV! Click here to read the full story, or request your free sample pack to take a closer look at these stunning deck boards. Please note that our EasyClean Terrain+ Silver Maple deck boards have a variegated colour, similar to that of natural hardwood decking. For this reason, your free sample may not fully convey the appearance of a finished Silver Maple deck.